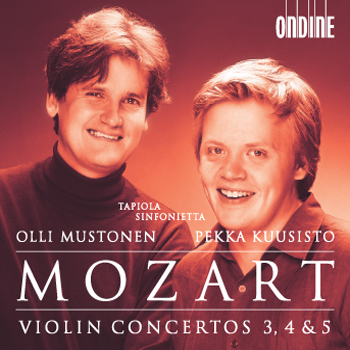 With his sweet, subtly varied tone, lightly brushed bowing and imaginative phrasing, Kuusisto is vividly reponsive to the dancing playfulness of the Allegros and that uniquely Mozartian mixture of innocence and sensuous yearning in the slow movements. Tempi are fleet and buoyant yet never driven. (...) These performances, zestfully accompanied and warmly recorded, capture the poetry, excitement and coltish energy of these miraculous fruits of Mozart's teen years.